A distinctive focus on digital media practice and theory sets this course apart from traditional communication design courses, preparing you for an exciting career in a range of design roles. MA Communication Design is the study of information and interface design, the course combines creativity with critical analysis of contemporary media and knowledge of the latest methodologies and tools. In our modern, well-equipped studios you’ll learn how to develop effective concepts and prototypes for current and emergent platforms, informed by user experience design principles. Your practice will be supported by excellent facilities including a recently launched Interaction and Prototyping Laboratory (iLab), 3D printing and laser cutting as well as traditional design and print equipment. You’ll learn from academics with industry experience in graphic design, interaction design and design for broadcast media. The course culminates in a practice-led research project, which is an exciting opportunity for you to engage with key debates shaping the design industry and scholarship. When you graduate you’ll be ready for a career in established and emerging design fields, such as, interaction design, user experience design, data visualisation, digital product design and publishing. This course will be of interest to recent graduates or those with professional experience who wish to extend their creative skills and design knowledge into the realm of hybrid publishing, user experience design and design research. While a working knowledge of Windows and Adobe software is required, it is not a technical course; the focus is on how you effectively research users and contexts, develop innovative concepts and produce lo- and hi-fidelity prototypes. This is a one-year, full-time masters degree. It comprises modules taught over two semesters; in semester three you’ll undertake supervised independent study for your final project. In semester one, the studio-based module Design for New Media will introduce you to design thinking and user-centred approaches to design as well as technical tools and practical methods for each stage of the design process. You’ll be set themed briefs, supported by talks, workshops and group tutorials, which you’ll work on in the studio. You’ll consolidate your learning in semester two in the Design Laboratory module, during which you’ll apply your skills and prepare for your final project through increasingly critical and experimental forms of design practice. You’ll be encouraged to think not only about what the market is demanding, but how design can be used as a tool for research, innovation and creativity that can challenge industry norms. Alongside your design studies and practice, you’ll take Professional and Academic Skills modules. These give you the chance to develop your professional competencies through activities such as CV workshops, portfolio feedback and sessions with our industry-experienced academics on how to position yourself as a practitioner. You’ll also gain the essential scholarship and research skills that will underpin your studies. Semester two also offers an opportunity to tailor your course by choosing an optional module. Depending on your interests and career aims, you could select a topic that complements your communication design studies, such as digital cultures or experimental publishing, or gain skills and knowledge in another area, such as global marketing, responsible design and visual culture, or entrepreneurship. Integral to the course is an emphasis on research and how ‘making’ processes can contribute to knowledge production. Our academics have experience in this field, which emphasises process over outcome and encourages an iterative approach that combines prototyping and reflection. You’ll be exposed to external industry professionals and practice throughout the course. Guest speakers are a regular feature of the core modules, with additional events, workshops and competition briefs run by or with design companies. You’ll have access to the innovative Interaction and Prototyping Laboratory (iLab), where you can take part in a range of technology focused workshops and seminars. Also, our students work in a modern, spacious studio with access to high-spec computers, a 3D printer and laser cutter. The latest audio visual and photography equipment is available to borrow from the School’s Media Store. While the curriculum is primarily focused on digital media, there is the opportunity to combine this with more traditional image-making methods, such as screen-printing or letterpress printing. You’ll be taught by academics who have worked in senior design, education and media roles. They bring their industry insights to the course, as well as their research and teaching expertise. Danny Aldred, Programme Leader MA Communication Design, is a visual artist and experienced commercial graphic designer. His current practice centres on publishing as creative practice with a focus on the artist book. His own publishing projects have been chosen for numerous international exhibitions, events and collections including the V&A Museum, Whitechapel Gallery, Freies Museum in Berlin and Printed Matter in New York. He is a passionate educator who believes in the transformative ability of education. Andy Lapham is a web designer and photographer as well as an experienced educator and lecturer in interaction design. His work focuses on the role of research in the development of design for digital devices. He has a longstanding interest in enhancing learning experiences through digital technologies – his impact on learning and teaching has been recognised with the award of a Principal Fellowship of the Higher Education Academy. Jacqueline Perkins has extensive professional experience in graphic design and art direction and has conceived and directed titles, content, commercials and brand identities across a wide range of media, for clients including the BBC, Channel 4 and ITV. She has been a judge for the British Film and Television Awards. Her international network of industry contacts enriches her research into work-related learning in design, industry collaboration and employability. Taught by academics with industry experience and research expertise. Guest lectures, studio visits and activities with industry partners will enhance your learning. Superb facilities include a dedicated Interaction and Prototyping Laboratory (iLab), 3D printing, laser cutting, and high-spec computing and the latest photography equipment. The chance to study a topic in depth for your final project and develop a portfolio that will enhance your employability. Graduates have gone on to work for Ogilvy & Mather, Alibaba Group, EMI and the Singapore Institute of Technology. The admissions policy for the MA Communication Design is based on students having a good honours degree in a relevant subject (2.2 or above) or an equivalent standard in other qualifications approved by the University. 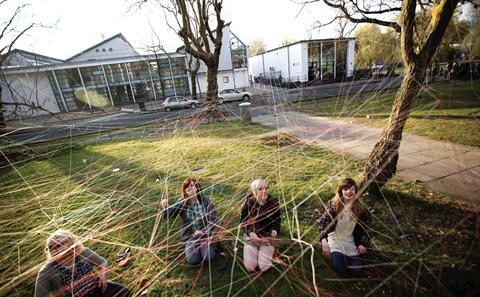 MA Communication Design at Winchester School of Art is both practice and theory based. It is important that you demonstrate your artistic ability in a portfolio, as this will be the determining factor for entry. Your portfolio should include evidence of exploring how design responds to developments in media and digital culture, examples of work that shows an innovative and experimental approach to tackling a design challenge, and examples of work that demonstrates an engagement with the full range of contemporary ‘communication design’ not just graphics design. Please include a variety of projects in your portfolio. Your portfolio should not exceed ten megabytes in size. WSAmacd is about exploring (and preparing you for) the fast changing design industries and media spaces. Use your personal statement to tell us where you are in relation to these shifts - new technologies, mobile media, new readership practices, new attitudes to media and design, social media, globalised distributed media etc. What do you think is the biggest challenge facing design? What do you is the role of the designer in these new spaces? Yes, we want to know about what you do and why you do it but we also want to know what you think, what writers and designers you have looked at to help you think through these issues? WSAmacd is about making you a thoughtful designer, a practice-researcher using communications design to explore emerging media and design and creating new design practices and philosophies that can exploit the new possibilities. International and EU students applying for this course are required to have a minimum IELTS score of 6.0 overall with 5.5 in each component or equivalent, prior to starting the programme. For a full list of English language tests accepted please see here. MA Communication Design students study compulsory and optional modules aimed at honing their own artistic practice. Travel The Student’s Union provide a mini free bus service which runs every two hours between the Winchester Campus and the Highfield Campus. Students are responsible for all other daily travel expenses. You’ll graduate with a portfolio of high-quality design work and the professional skills you need to secure employment, start your own businesses, or pursue further research. 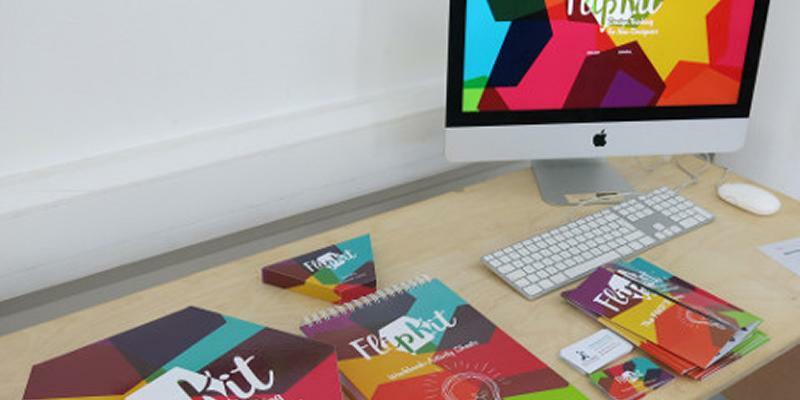 The degree opens up a wealth of opportunities in the digital, media and design sectors. Depending on your interests there are opportunities to specialise in interaction design, data visualisation or digital product development, publishing or design research. The core communication design modules are primarily studio-based. You’ll work on a series of themed briefs and explore related issues and techniques in talks, tutorials and workshops. Guest lectures and studio visits will further enhance your learning. Teaching methods on the optional modules vary, but may include lectures, seminars, case studies and problem-solving exercises, as well as independent study. Transferable skills are built into the course design. For example, you’ll experience working to a brief, managing your own time, critically assessing your own work, and communicating your ideas – all essential workplace skills. You’ll be assessed on your design process and outcomes, as well as a variety of individual written assignments. Every student is allocated a personal academic tutor who can offer advice and support on academic and other matters. You’ll also have access to a wide range of University of Southampton support services should you need them. Weekly English language support sessions are currently available for international students. For practical support, our skilled technicians can help you to get the most from the School’s excellent facilities and equipment – from photography or screen printing through to building a website or video editing.